This very appropriately named game is an end(ing?) runner which has you throwing balls at objects ahead of you. Requiring only the Gear VR headset (Bluetooth controller is supported) you simply tap and shoot, the game moves on its own. Downloaded from the Oculus store for $3.50, this is a simple game that gets very difficult to master. Breakin’ stuff NEVER gets old! Visually, this game is very polished, albeit simple. What stands out here isn’t the visuals, but the physics on display. 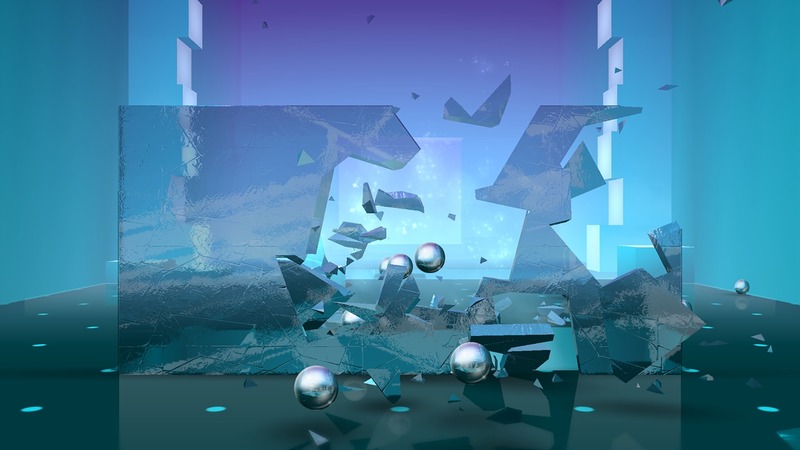 Objects made of glass shatter and break like they would in real life and the steel balls you throw bounce and roll exactly like you would expect them too. This game looks just fine with very sterile, monotone levels comprised mostly of simple geometric shapes. The audio stands out as well with a simple techno soundtrack, but excellent sound effects that make every glass shattering throw and enjoyable experience. The difficulty of this game is where the draw is as you only have a limited amount of balls to throw. Certain object add to your ball count but the need for perfection has you launching them at almost equally fast rate. Coupled with increased difficulty as the game progresses and you are left with a challenging game that never feels truly unfair, but rather tests your limits and asks you to surpass them. Balls act just like grenades where changing your viewing level decreases or increases the throw distance and power ups collected along the way aid you in level destruction. The game breaks up its level into checkpoints where, upon failure, you can start from them as opposed to restarting from the beginning. A much appreciated option. If you’re looking for an on-the-rails fps challenge than you’ve found the right game for the right price. Nothing mind blowing here, but that’s not going stop you from having a pretty fun time and it’s simplicity and checkpoint system make it a great pick up and play experience.